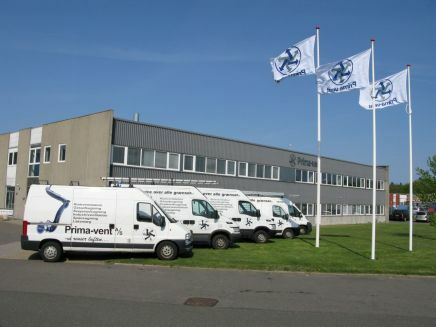 It began in 1970 with a future-oriented concept for industrial ventilation systems. Since then, Prima-vent has been planning and installing solutions within the wood, plastics, iron, metal and food industries. 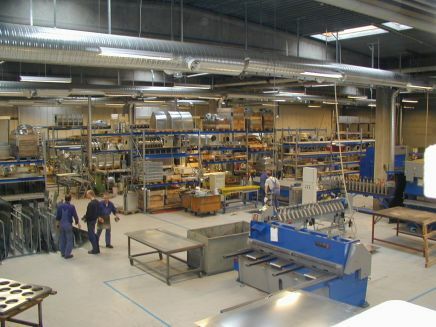 A large part of our production is exported to mainly Scandinavia and Germany. Our main products are systems related to aspiration, heat ventilation, room ventilation and surface treatment. Based on the past years' increasing energy prices, Prima-vent’s engineers, technicians and production staff always highly prioritize solutions that save energy. The combinations of flexibility and creativity are some of Prima-vent's biggest asset. Our extensive industry standards, as well as our ability to deliver individual solutions that match the needs of each individual customer exactly, has allowed our company to spread its wings. Apart from offering a large range of standard systems, we also develop turn-key solutions in accordance with the wishes and requirements of each individual customer. We represent almost every single segment within the project and value chain, covering everything from development, production, delivery, installation and service. Our team of very talented engineers design and plan the projects with great accuracy, which ensures that ones the project takes hold hardly any mistakes occur.